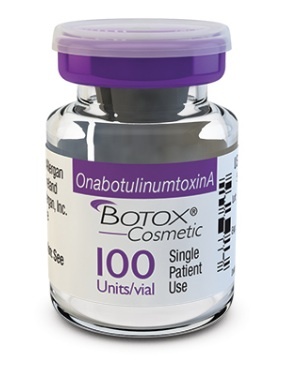 1) Botox has an effect on the muscles beneath the skin, not wrinkles. 2) Wrinkles soften because the muscles relax. 3) The duration of the effect does not refer to how long it takes for the wrinkles to return, but rather, how long muscle movement is inhibited. 4) The effect on the muscles takes about 2 weeks to be full strength and lasts about 3-4 months overall for most people (this depends on proper dosing. 5) Proper dosing is established through studies and in most cases, yields predictable results (the desired effect for an average duration of time). 6) The effect on the muscle gradually wears off, which means some muscle movement returns before the product has been totally broken down by the body. It doesn’t just turn off like a switch. 7) A dose adjustment can be done at 2 weeks if there is still considerable muscle movement. 8) Some muscle movement earlier than 3 months can be seen in certain people who may metabolize the product quickly. NO dose adjustment will be done for this. At this point re-injecting Botox would be considered a retreatment. To correct for this, the patient’s dose will be adjusted during the next scheduled treatment. 9) Retreating the same muscle area sooner than 3 months can result in antibody production to Botox and future immunity to it! Other practices may underdose areas then retreat more frequently. We believe this is medically, not in the best interest of our patients. 10) We charge per unit and NOT per area. Places that charge “per area” may offer free follow up dose adjustments as those cost are included in the initial cost. We believe you shouldn’t pay for something you may not need. Therefore dosing adjustments, if needed, incur the same per unit cost. 11) We start with the average does established through studies for each area based on gender. At a 2 week follow up, we can then determine if you need more Botox or not. This ensures that you get (and pay for) only the amount of product that you need. What should a man consider before having cosmetic injections? In our current society, men are now feeling the pressure to maintain a more youthful appearance at increasing rates. Social platforms like FaceBook, Instagram and Snapchat have people constantly looking at their photographs and analyzing them for any little imperfection. The drive to look youthful and stay healthy has never been greater. When questioned, men also often express the desire to look less tired and more refreshed. So what should a man consider before deciding to have cosmetic injectable treatments done? The priority is finding the right person for the job. The provider should have a vast knowledge of the facial anatomy, as well as the array of different filler products and neuromuscular blockers on the market. Choosing the correct product for the particular part of the face is as important as the ability to place that product well; but most important is how much overall injecting experience the provider has. I’m not just referring to somebody who has a large patient following, many of whom may be women, but someone who has extensive experience injecting and rejuvenating the male face. This point cannot be overstated. Men have a different bone structure to their face, which means they age differently than women. The apex of a man’s cheek is not located in the same place as a women, their brow is more flat than arched and their jawline is clearly more pronounced. Maintaining these masculine features is imperative when rejuvenating the male face in order to avoid the possibility of looking feminine post treatment. Here at Kessel Dermatology, our injector has been expertly treating male patients for years. Look at this one example of a male patient before and after just one treatment with both Dysport to the upper face and filler products to the lower face. Untouched photos taken 1 month apart. Don’t wait, schedule your consultation today, 609-890-2600. Also called riboflavin, this is a water soluble vitamin that’s found in most foods, especially organ meats. It works as part of a group of enzymes that helps the body break down carbohydrates, proteins and fats. This is a three part vitamin necessary for your body to be able to absorb yet another B vitamin, B12. Vitamin B6 deficiency results in hair loss. 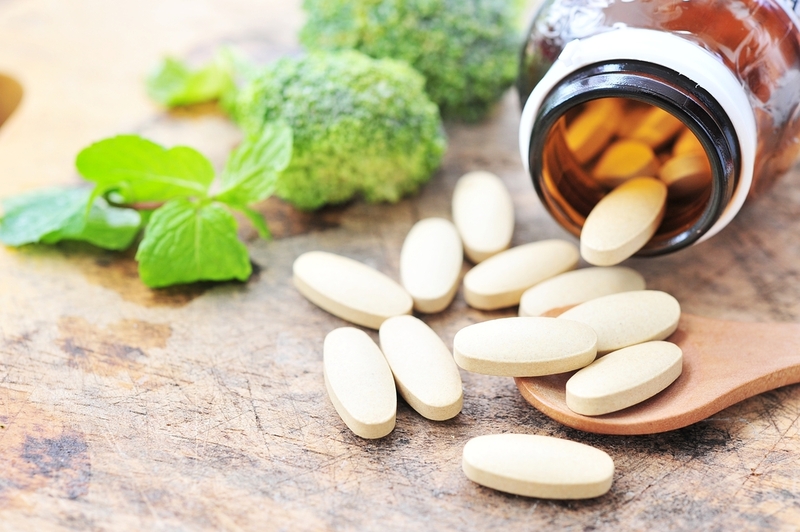 This vitamin comes in three synthetic forms and also helps enzymes break down nutrients. It supports the functioning of the nervous system and helps maintain healthy skin. Niacin is readily found in lean meats, poultry and fish. Vitamin C is used to create skin care products called ascorbates. This vitamins main job is to help the body make collagen, which forms an elastic underlayment for the skin and helps keep it supple. Vitamin C is famously found in citrus fruits and green, leafy vegetables. For more information about vitamins that can help your skin and hair, schedule an appointment with our staff at Kessel Dermatology. Call us today at 609-890-2600. Kybella is made of a synthetic ATX-101, a kind of deoxycholic acid. Natural deoxycholic acid helps you burn fat that you’ve taken in through your diet. When Kybella is injected into your double chin, it ruptures the fat cells and destroys them. Over time, your body metabolizes what’s left of them. Even before you get Kybella, you will have a consultation with a practitioner at our offices. They’ll take a medical history to make sure you’re a good candidate, because there are medical conditions that can lead to a double chin, including thyroid problems. They’ll discuss the cost of the procedure and will show you before and after pictures of clients who’ve had the procedure done previously. If you’re considered a good candidate, you can set a date to return for Kybella or you can have the procedure done right then. The practitioner will clean your chin and swab it with alcohol. They’ll then inject the Kybella into your double chin. Most clients need between 12 and 20 injections, but the whole session lasts only about 15 minutes. After the treatment, you can return to your usual activities. There is no downtime with Kybella. When you get home you’ll see some swelling and bruising and feel some discomfort in your chin, but you can ease the discomfort with a ice pack. Take it easy for a couple of days. Do not engage in any strenuous activity, and do not go into the sun without a sunscreen. 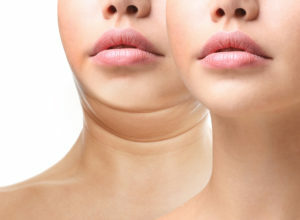 If you’re tired of that double chin you can’t get rid of no matter how much you diet or exercise, don’t hesitate to call us for a Kybella consultation at 609-890-2600. Nummular dermatitis can be the most problematic as affected skin is very dry and needs frequent moisture. This condition is distinct from other forms of dermatitis in that it produces oily, waxy patches to develop on the scalp. One common form of seborrheic dermatitis is “cradle cap,” the dry scalp condition that affects most babies during the first six months of their lives. Once it disappears, it usually doesn’t reappear until adolescence. This buildup of excess skin tissue can become disfiguring in its most severe forms. Patients have red, thick skin that is covered with silvery scales. These are just the most common types of skin problems. At Kessel Dermatology, we see it all, and you are not alone! If you have one of these conditions or another, contact us today to make your appointment! Birthmarks are incredibly common marks on the skin that appears on a baby while they are in utero. More than 1 in 10 babies are born with some sort of birthmark on their skin. There are two types of birthmarks, pigmented birthmarks and vascular birthmarks. A pigmented birthmark is a birthmark that has a color to it, whether it is pink, brown, black and anything in between. Some examples of a pigmented birthmarks are moles, cafe-au-lait spots, and mongolian spots. A vascular birthmark can be understood as a reddish birthmark that appears on the skin due to the clumps of extra blood vessels in the body. Some examples of vascular birthmarks are strawberry hemangiomas, salmon patches, and port wine stains. While all birthmarks appear at birth, depending on what type of birthmark you or your child have will determine whether it will gradually shrink in size, enlarge in size or go away completely. For example, the cafe-au-lait spot, which is french for “coffee with milk” are pigmented birthmarks that can slowly fade overtime but do not go away completely. Another example would be strawberry hemangiomas, which are vascular birthmarks that appear very red and bumpy at birth, but tend to gradually flatten and go away on their own, with little to no mark left behind. While birthmarks are incredibly common and normal for the most part, it is important to monitor any changes on your skin. It is imperative to be proactive about your skin health. If you are interested in learning more about the different types of birthmarks click here. Consider consulting with a dermatologist if you have any mark on your body that has increased in size, color, bleed or itch because these are symptoms of becoming something much more serious. Sheet masks are masks that come in many different types making them great for all skin types. These masks come prepackaged with a sheet that absorbed the formulated mask that you place directly on your skin. This mask is great because you don’t have to worry about applying the mask. Clay masks are great for detoxing the skin. If you are looking for a mask that will remove congestion from your pores and help reduce acne while still nourishing and hydrating your skin with oils, a detox mask is the mask for you. Clay tend to be thick in texture. 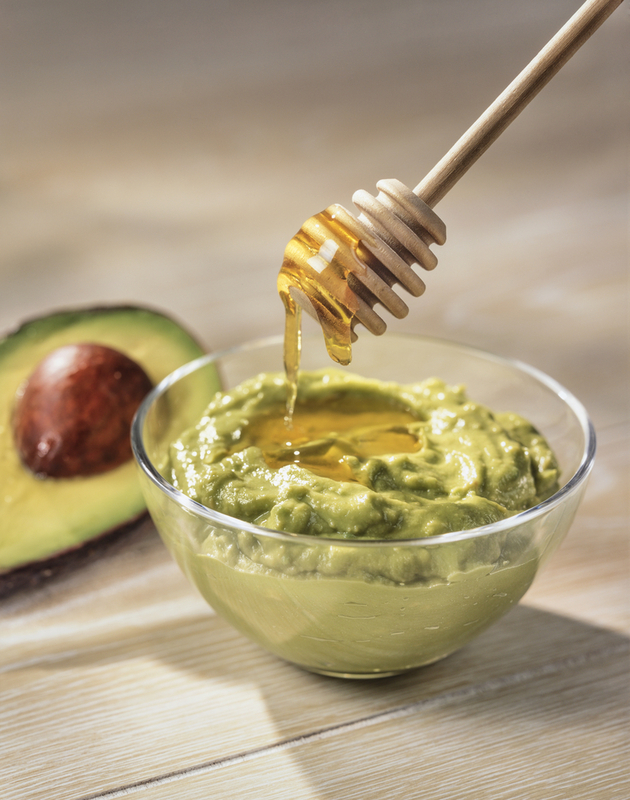 Clay masks are ideal for normal to oily skin types. Gel masks are used to soothe and hydrate the skin while still being able to penetrate and nourish the skin. Gel masks tend to be thick in texture. Gel masks are ideal for sensitive and dry skin types. Exfoliating masks are used to remove dead skin from the surface of the skin, leaving the skin smooth, soft and renewed. Exfoliating masks tend to be gritty in texture. Exfoliating masks are great for most skin types, however if you have sensitive skin you may want to consider consulting with a dermatologist to see which exfoliating mask works for you. Cream masks tend to be hydrating masks full of rich oils and moisturizers to nourish your skin. Cream masks tend to be smooth in texture. If you have dry or normal skin types this is a perfect match for you. It’s important to take care of your skin daily. 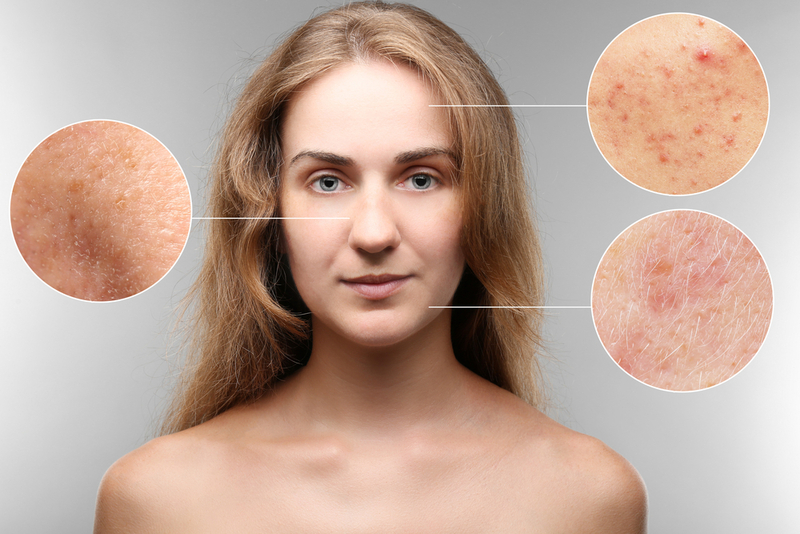 If you have any skin conditions you think may be concerning, contact us today! Eczema is both common and troublesome, with over 30 million Americans believed to suffer some form. In spite of this, though, information on it isn’t always clear. Read on to learn more about the condition. Eczema is actually a group name for certain types of dermatitis, each with the non-contagious symptom of itchy, red, inflamed skin. The conditions stem from the immune system reacting to irritants or allergens, inflaming the skin in order to fight them off; many sufferers also have hay fever and asthma along with it. Eczema can manifest in a few ways, so it’s important to recognize which type in order to treat it. Atopic dermatitis is a chronic type of eczema usually starting in childhood. Other symptoms include rashes and sores on the affected areas. Contact dermatitis occurs when the skin comes into physical contact with an irritant or allergen. It’s most common on or near the hands. Dyshidrotic eczema produces blisters more commonly than inflamed patches of skin, usually on the extremities. Sufferers can still expect itching, unfortunately. Nummular dermatitis manifests differently from the other types, producing larger round spots on the skin. This type can be more difficult to treat. Stasis dermatitis is caused by blood flow problems in the veins. The pressure causes fluid to leak beneath the skin, resulting in swelling and itchy, painful skin. A number of treatments exist, the most common being topical products, cleansers, and/or medication designed to alleviate symptoms. As painful and stressful as eczema can be, it’s possible to treat and manage. Contact Kessel Dermatology today for more information and treatment options for eczema! In the United States, approximately 4.6 million people are affected by alopecia. 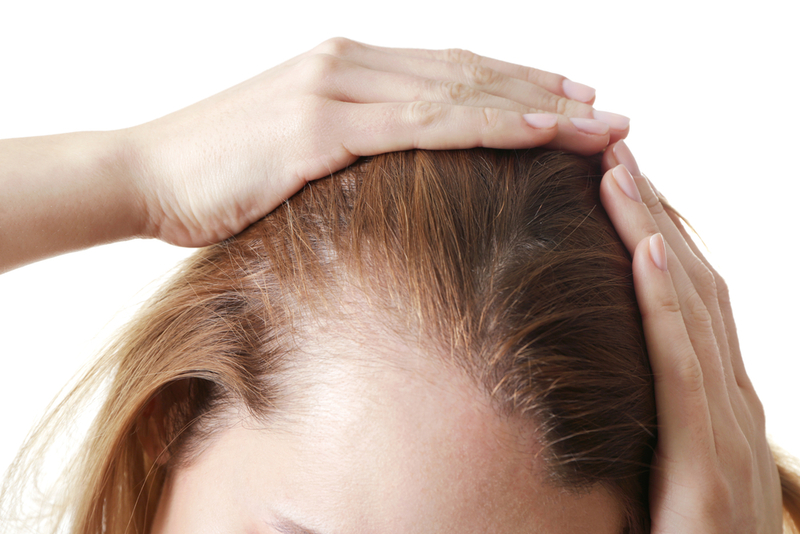 This condition is characterized by hair loss on the scalp or body. About five percent of people with the condition lose all of their hair. This condition results from the hair follicles being attacked by white blood cells. Over time, the follicles get smaller and this results in slowed production of hair. Exactly what triggers the white blood cells to attack remains unknown. While there is no direct cure, there are treatment options that can be effective. Corticosteroids to suppress the immune system and fight inflammation are commonly used. These may be given orally, by applying an ointment directly to the affected area or via local injections. Doctors may suggest certain other medications to affect the immune system or to promote the growth of hair. Hair transplants are also a potential treatment option. Alopecia can be difficult to deal with, so it is important to talk to an experienced dermatologist as soon as you notice symptoms. To learn more and to speak to a doctor, contact Kessel Dermatology today. We are ready to answer your questions and help you in any way we can. Why Is Pediatric Dermatology Important? At Kessel Dermatology, we are primarily known for our cosmetic treatments and anti-aging procedures, however, we offer so much more than that! One of our specialties is Pediatric Dermatology. This is dermatology for babies to adolescents to ensure a future of healthy skin! If your child had a skin condition, our certified service providers can treat your child and offer a variety of treatments options. This is one of the most common skin problems. It usually appears in adolescents and young adults but can affect young children and babies as well. Acne is inflammation around glands and hair follicles. If left untreated, it can result in permanent scarring. Atopic dermatitis, often called eczema or atopic eczema, is a very common condition in infants, and children. This condition often appears in the first year of life, and causes the skin to become red, dry and itchy. The itch can often be severe and prevent your child from sleeping. In addition, it may make those who suffer from eczema more susceptible to infection. Birthmarks include a variety of markings that appear on the skin at birth or during the first few years of life. Birthmarks include a wide variety of skin areas that are lighter or darker than the surrounding skin, areas of the scalp where hair doesn’t grow, diffuse blue or grey areas typically found on the back, and a variety of pink, red, or purple markings often seen on the head and neck. Babies commonly have a number of different rashes in the diaper area, and most are harmless, and transient. Common diaper rash is a normal condition experienced by most (if not all) babies. But when your baby develops diaper rash, it will be very uncomfortable. Therefore, it’s important to treat the symptoms – red, irritated skin that is painful when touched – in order to keep your baby happy and healthy, as well as prevent infection. Rashes that do not resolve with conventional treatments should be evaluated by one of our service providers for more serious conditions that can mimic common diaper rash. A hemangioma is a growth of excess blood vessels that appears on the skin, usually during infancy. Some are present at birth and others develop or change in early childhood. They are typically either red or pink, but they may also take on a bluish hue (in the case of “deep” hemangiomas). Although this type of skin condition is usually benign, there are certain instances where the hemangioma will need to be removed. This will be the case if the hemangioma is in a sensitive area such as the face, where it may obstruct vision or lead to cosmetic disfigurement. Other hemangiomas that may need to be removed are those that cause ulceration, severe scarring or medical issues. If your child has a hemangioma, consult our office to see if treatment is needed. During childhood, it is common to develop a variety of rashes at one time or another. Some of these rashes are caused by superficial infections of the skin, for example impetigo, and may subside quickly with a topical or oral medication. Other rashes occur when your child is ill; they may be bacterial or viral, and prompt recognition of the rash by a professional can help expedite the correct medical treatment. Warts are small bumps on the skin caused by the Human Papillomavirus (HPV). They come in all shapes and sizes. Warts are very common in children, and in most cases they are harmless. Children are not always known for leaving these warts alone however, and when scratched or picked at, warts have a tendency to spread. Depending on where the warts spread to, they can become more difficult for your doctor to treat. Sometimes it is better to have warts treated rather than wait and see if they go away on their own. For more information and other common pediatric problems, contact us today!